The H1B is an American non-immigrant visa which permits American companies to engage workers from overseas to undertake jobs in specialty fields such as those with need technical expertise like architecture, science, medicine and engineering. With this visa type, a US employer is allowed to employ a worker from overseas for a period of up to 6 years. As applying for this visa type is much faster than the application process for a Green Card, this is a very popular visa for employers who need to bring in employees quickly to cover a long-term placement in the United States. The worker themselves cannot apply for the H-1B visa; it is the responsibility of the employer to petition on the employee's behalf. There are strict annual caps on the number of employees who may be brought into the country and the employer is permitted to apply for an H-1B visa no more than 6 months before the visa's actual starting date. Currently, the law permits only 85,000 H-1B visas to be issued in each fiscal year with 65,000 of these being for those engaged in professional and specialty occupations and 20,000 of which are for those with advanced degrees from American universities. Once the cap is reached, no more visa petitions of this type will be accepted for the rest of the year. An employee is eligible to be considered for an H-1B visa if they have a minimum qualification of a Bachelor's degree or higher. They must also be coming to the country to undertake a role that is unique or complex enough to be performed by someone who is in possession of this level of qualification. The applicant must also have the appropriate registration, certification or state license necessary to carry out the specified job and have undertaken the essential training and education or have significant experience in that field. How Long Does The H-1B Visa Last For? This visa is usually granted for a period of up to 3 years; however it is possible to extend it for a period of up to a maximum of 6 years. 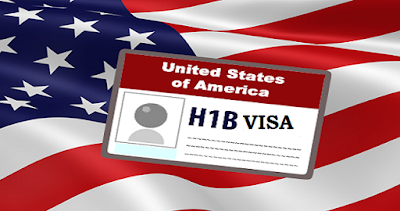 While it is a non-immigrant visa, this is one of the categories of visa which is recognized as a dual intent visa, and this means that the holder of the H-1B visa is allowed to apply for and be issued with a United States Green Card while they are working in the United States under the H-1B visa. Anyone who has been issued with an H-1B visa and who wants to stay in the United States for a longer period than six years is allowed to apply for a Green Card which will allow them to gain permanent residency in the country. Anyone who does not apply for their Green Card while they are working in America under an H-1B visa will have to reside outside of the United States for a minimum of one year once their initial six year period has expired before being allowed to apply for another H-1B visa. Can Dependents Come To The US Under An H-1B Visa? Any applicant who is successful in being issued with an H-1B visa is permitted to bring their spouse and any dependent children who are aged less than 21 years into the United States with them. They will enter the country under the H4 visa category which is the category for dependents. This visa type permits the holder to stay in the United States for as long as the holder of the H-1B visa is still holding their legal status. Although holders of the H4 visa are not permitted to work while they are residing in the United States under this visa type, they are allowed to go to school, get a driving license and open an American bank account while they are living in the country.